Ready to Pick The Best Movers Houston Has to Offer? JT Melia movers are the top trusted Houston moving company for over 50 years. Being a family-owned and operated moving company means there is a definite pride that no other moving company can match. Our family name is on the side of each of our moving vans. It allows us to provide the best possible moving services at the best possible price. We are Houston Strong and treat each of our clients like family. We treat your household goods like our own, handling and loading each item with great care. 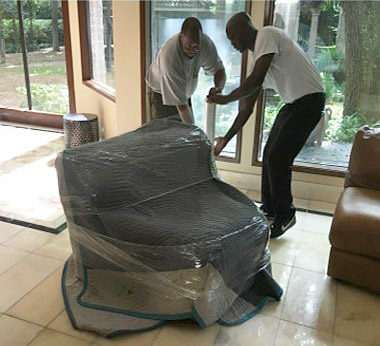 All our Houston movers are hand-picked employees, not contractor movers, so you can rest assured about the people that you are allowing into your home. And we give honest moving quotes, based on facts so there are no surprises. How good your moving experience is, is based on how good your movers are. As any homeowner knows, a local Houston move can be very challenging. They can range from heat to logistics, not just loading boxes onto a truck. From a three-story townhome, with narrow stairwells, popular in Houston’s Midtown to a large home in Houston’s Memorial section, it’s always best to hire professional movers that will handle your local Houston move taking some of the stress out of the day. We offer a wide variety of ways to assist our clients. 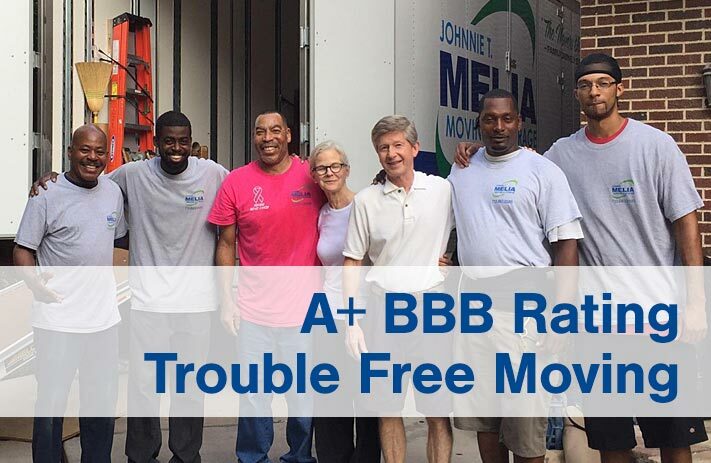 See the Houston Mover Johnnie T. Melia can make a difference. Our moving company has been servicing the Houston are since the late 60’s and we are always ready to deliver you the best move! Residential or otherwise talk to one of our knowledgeable moving experts about your moving needs. There are many things to consider when it’s time to move a business, even if it’s local. It is not feasible for the business not to be open simply because it’s moving location. To have an easier time, it is always best to call a professional mover that has experience with re-assembling office furniture and has superior organizational skills as to not mix up files and desks. 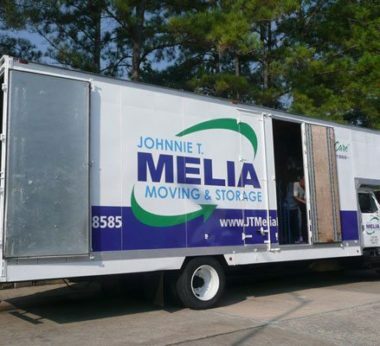 JT Melia Moving Company has been moving Houston businesses for over 50 years. So you have been told you have to leave your home and move overseas by your employer, now what? If you are in Houston there is only one moving company that has the experience to move an entire family to a different country, with all their household goods arriving safely and if you are thinking of coming back to Houston, our long-term vault solutions are a unique and affordable long-term storage solution. Many times when moving, there are specialty items in the home that require special custom packing be fabricated for that specific piece. Not all movers are able to do that. 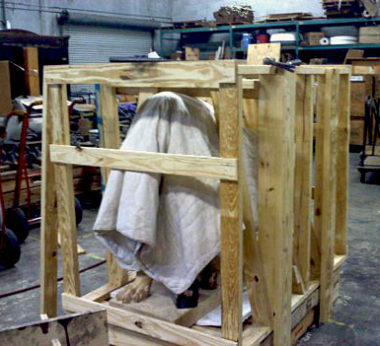 Whether it be a pool table, grandfather clock or a sculpture, we build custom packing to make sure your valuables move safely to their new home. Additionally, we have no issue with moving items such as pianos or gun safes. Some companies may not be as accommodative. If you have special items, JT Melia should be your first choice. After a long day of moving, the last thing anyone needs is a bill far larger than they anticipated for their move. Sure many movers can offer a moving quote. Some offer interfaces that allow you to price your move. Some have nice people that call on the phone and talk to you about your move and then give you a quote. But without seeing your home that quote is nothing more than a guess. Moving companies can not give an accurate quote without actually seeing your home and how much “stuff” you have in it. Each move is different, and for you to get the best possible quote, it is important for whoever you choose to come out, walk through your house and give you and accurate price. And for you to compare quotes, each mover should come out to your home or office. You cannot compare an in-home estimate, which is far more accurate to someone you talk to on the phone, no matter how nice they are. Watch the video to see the hows and whys to get the best quote and not have unwanted surprises at the end of your moving day. Simply put, our commitment is you. With over 50 years of serving as Houston’s movers, we have learned what it takes to get the job done. Unlike other moving companies, Houston is our focus. You are our neighbor. And because we have a higher bar, we have taken a few extra steps to ensure we are the best movers we can best it possibly can be. We have been recognized by the Houston, Texas BBB with our outstanding A+ rating for many years and received multiple lifetime achievement awards from within the industry. We are the premier movers Houston has to offer and specialize our services for Houston, Galveston, Kingwood, Katy and The Woodlands as well as all of Harris County. We are here to offer each of our clients the absolute best moving experience we can. Still unsure? Please feel free to read our client reviews below and see what they have to say about us. We maintain our fleet of moving vans. This means our fleet is safe, up to date with Texas DOT standards. This minimizes breakdowns or other safety issues. Your movers are employed by us. Often moving companies hire contractors so there is no telling who will be entering your home. JTMelia movers Houston does extensive background checks as well as keeping a full staff of full-time movers that are ready to move you. We do not use temporary or part-time labor so our clients can rest assured that their move will be handled by full time moving men that we have hand-picked to be quality people that can handle the job. Our drivers and moving crews go through a series of background checks. This ensures that we know who is coming into your house. And confirming each has outstanding driving records. 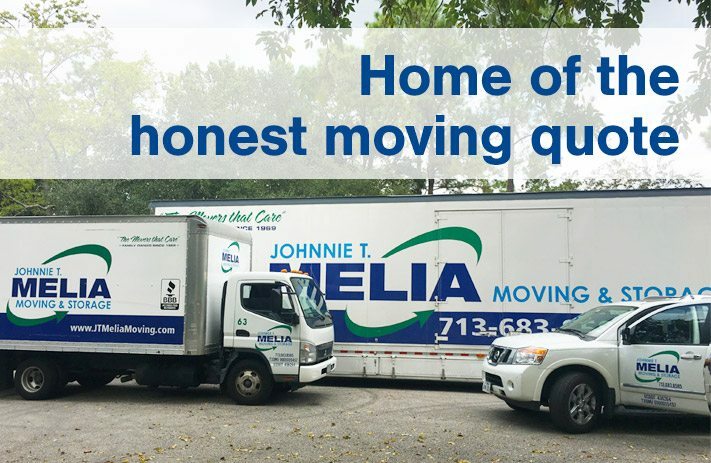 JTMelia Movers Houston cares about your move like it was our own and therefore we take the time and care to make sure our drivers and moving crew are top notch! We believe in the health of all crew members and maintain a drug-free workplace and screen for any controlled substances. Anyone can give a moving quote, but is it accurate? We ask the right questions or come visit (free of charge) to make sure our estimates are accurate so there is no surprises. Get your free moving quote from us online! For the most accurate estimate of cost on your move, we recommend you let us visit with you to assure nothing is overlooked and you receive a spot on quote! As a moving company with a long track record of excellence, we know how important it is for you to budget your moving expenses accurately. JT Melia has won multiple lifetime achievement awards from moving industry leaders that recognize what outstanding movers JT Melia Moving is. And we have maintained an A+ rating with the Houston BBB since 1982. We have a less than 1% rate of damage. And when there is an issue we make it right. When your looking for a mover houston has many choices but very few can claim a 1 percent damage rate. We pride ourselves on being the mover in Houston that cares! Part of this is the commitment to ensure your valuables get from A to B safely. 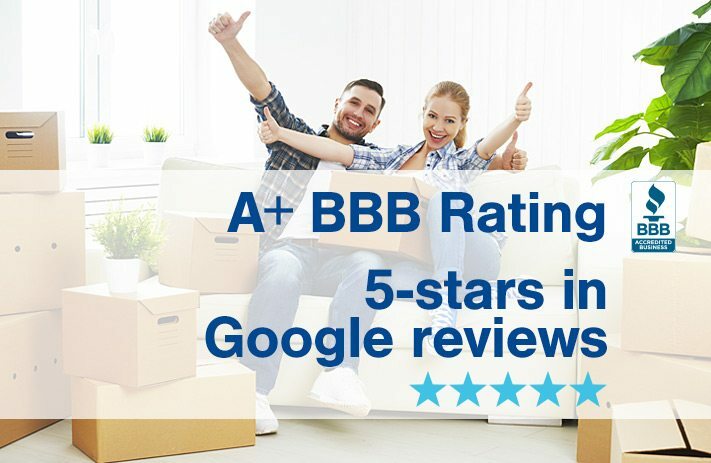 With the reputation of being the best movers Houston has to offer we work diligently to maintain our reputation as well as our spot free record with the BBB. From start to finish we are in constant contact with our clients so they know what to expect and when. We are always a phone call away. 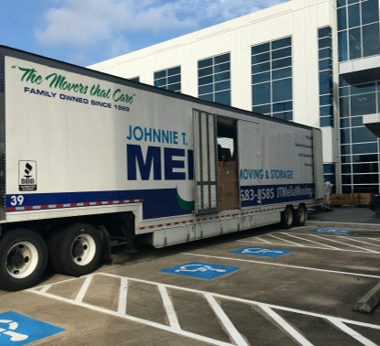 JTMelia movers Houston work very hard to ensure that our clients have access to us thru the whole moving experience. We understand there is nothing more nerve-wracking then moving and losing communication with the movers that have your valuables in transit from one location to another. We make it very easy for you to communicate with us while moving. See What Our Houston Clients Say About Our Moving Services!